Sterling, VA. February 22, 2018 – Mvix has been selected by Loudoun County Parks, Recreation & Community Services (PRCS) to power its digital signage network across 11 locations for visitor and staff communications. The Loudoun County PRCS mission is to provide outstanding recreational and leisure opportunities, outcome-focused community services and stewardship of the county’s natural resources. All of this is to promote the quality of life for Loudoun’s 380,000 residents, the third-most populous county in Virginia. Their 10 community centers offer a combined 300,000 square feet of space which include baseball fields, aquatic centers, bike trails, classrooms and performance art spaces. share multimedia content e.g. video, photos, RSS feeds, etc. The county implemented a video wall and networked displays powered by Mvix in 10 community centers and the main administrative office. 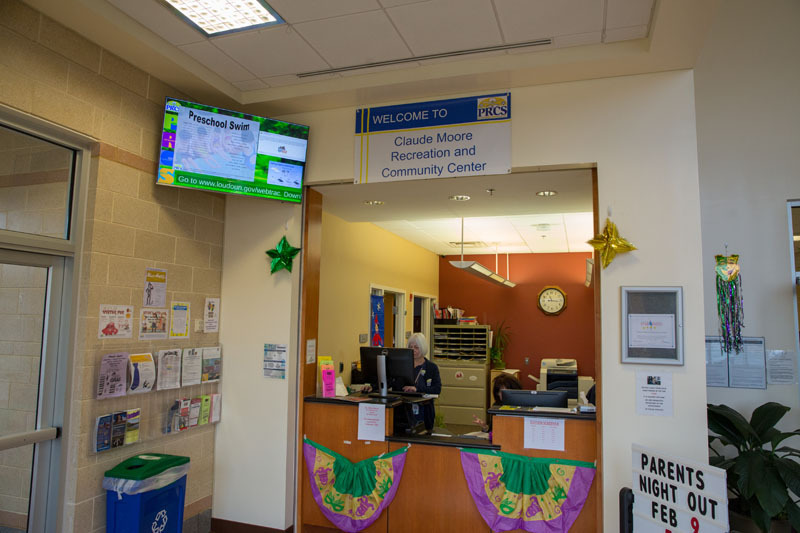 They display information about available community programs and activities, branded Loudoun County YouTube videos, pictures from the county parks and other supplemental information such as weather, time and local emergency alerts. The Mvix platform also offered advanced scheduling and multi-user access to enable individual locations to post their own content. 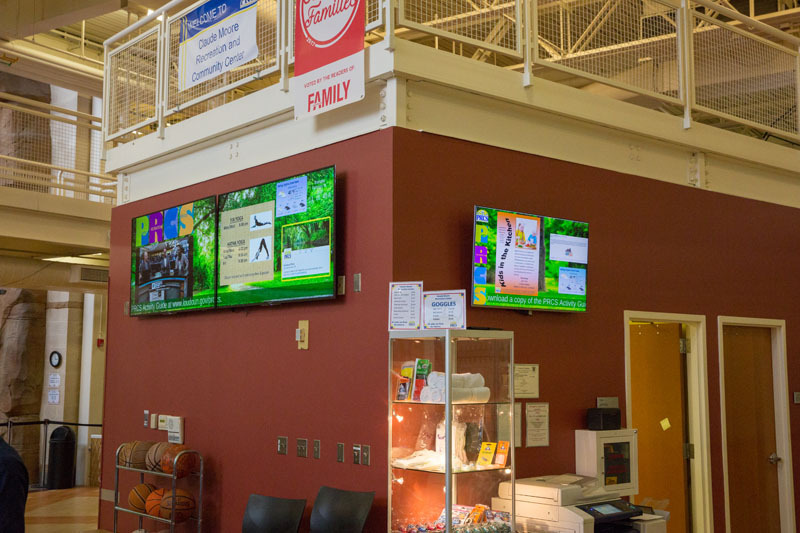 “Our mission statement is ‘We create community.’ Digital signage empowers us to accomplish this by allowing us to reach out to the community with different services in a visually appealing and easy to understand way, “said Jon Mattia, manager at the Douglass Community Center in Loudoun County. The success of the Loudoun County PRCS implementation has driven implementation in other county services. The PRCS team is cross-promoting content with the Loudoun County Libraries, and the local fire department has shown interest in using the signs at the recreation centers to display alert messages. To read the detailed case study, download your free copy here. At Mvix, our love for technology drives who we are and what we do. For over a decade, we have been a leading provider of content-rich digital signage software and solutions that connect brands with people. To date, our platform powers over 50,000 active screens for clients including Virginia Tech, NASA, Sodexo, Discovery Channel, TravelCenters of America, and the University of Washington in a variety of applications that include employee communication, wayfinding, emergency messaging, and customer communications.